Sunday, December 2nd was the day when the Dumaine St. Gang Social Aid & Pleasure Club Second Line rolled through. They came out of the historic Tremé Center with One Mo Time S&PC, The Young Rollers S&PC and the ? S&PC. This has been brought to you by Blackmasking.org, Data News Weekly and Cumulus Media. 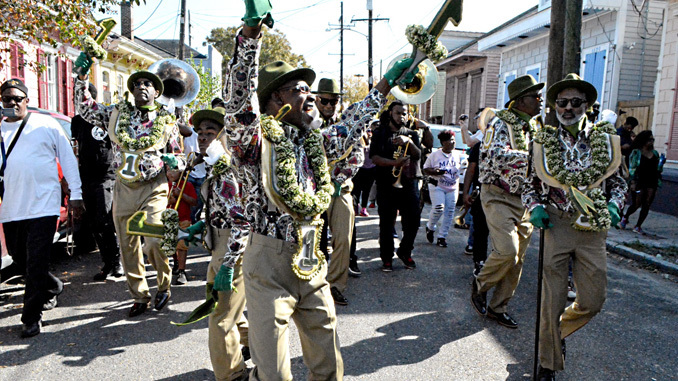 Next week, we will present a full recap of this year’s second line season. Stay Tuned!